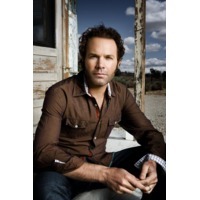 Five for Fighting is the stage name of American singer-songwriter Vladimir John Ondrasik. His 2000 album America Town went Platinum in the US largely because of the success of the song "Superman (It's Not Easy)". The 2004 album The Battle for Everything was also certified Platinum, mainly due to the hit single "100 Years" and the consistent sales of the album. Five for Fighting's fourth album, Two Lights, was released on August 1, 2006, and earned Ondrasik his first career Top 10 album, debuting at number 8 on the Billboard 200 albums chart. Five for Fighting's fifth album, Slice, was released on October 13, 2009, and the first single off the album, called "Chances", was released for download on July 21, 2009.